The ketogenic has had numerous studies done, showing the benefits of a low-carb diet on brain health. It has been shown to effectively treat Epilepsy in children, reduce healing time after a head injury, improve symptoms in Parkinson’s Disease, reduce neuron death caused in hypoglycemia in children with type 1 diabetes, and slow the progression of Alzheimer’s in mice. It is thought that using fat for fuel, which the body prefers as its primary fuel source, is beneficial to your neurons. It helps them run more efficiently, avoiding exhaust which leads to cell death. Have you ever noticed that when you have a typical high carb breakfast, of oatmeal, fruit, and toast, and feel tired, sluggish, and may experience brain fog in just a few short hours? This is caused by your body using a less beneficial fuel source in the form of glucose. But we don’t have to suffer through life like this, counting down the minutes until our next “sugar fix” in the form of carbs. That is where ketosis comes in. Getting into a state of ketosis isn’t easy though. Because of our conventional diet, which relies on easily burned carbs, our body is accustomed to having an overabundance of glucose at its disposal. So, when you are no longer providing your body with those carbs, it can go through withdrawals. You may experience symptoms like the flu, feelings of sluggishness, or headaches. But we at Real Ketones are here to make the transition fast and easy! 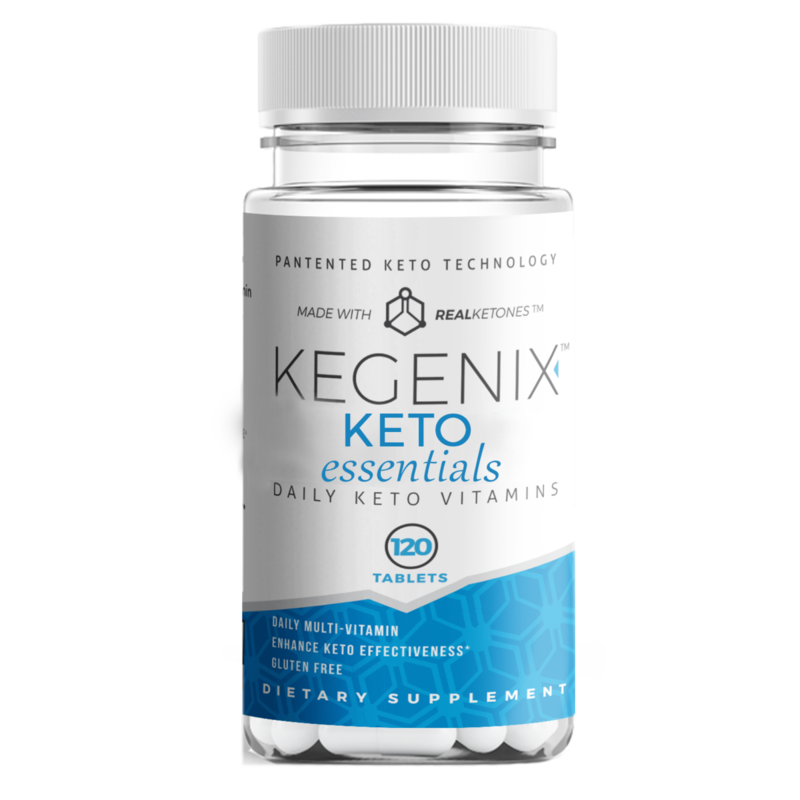 We have created a whole line of products created, not only to help you initially achieve transitioning into ketosis, but to maintain a ketogenic lifestyle. 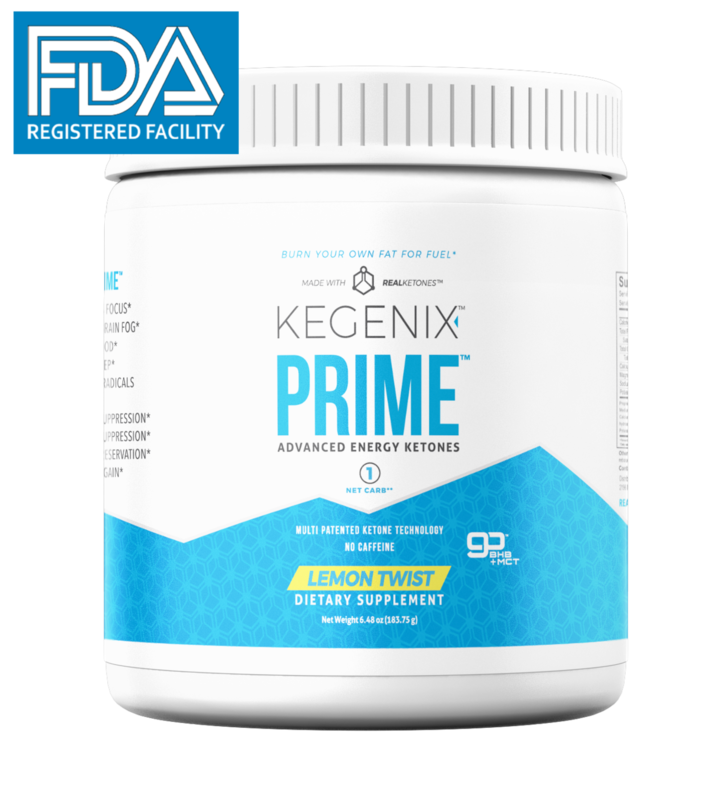 Kegenix™ PRIME can put your body into a state of ketosis in under 60 minutes, it will also promote healthy brain function, better clarity, and reduce inflammation and brain fog. It can also increase your ability to focus. Keto Meal is an all-in-one ketogenic meal replacement. 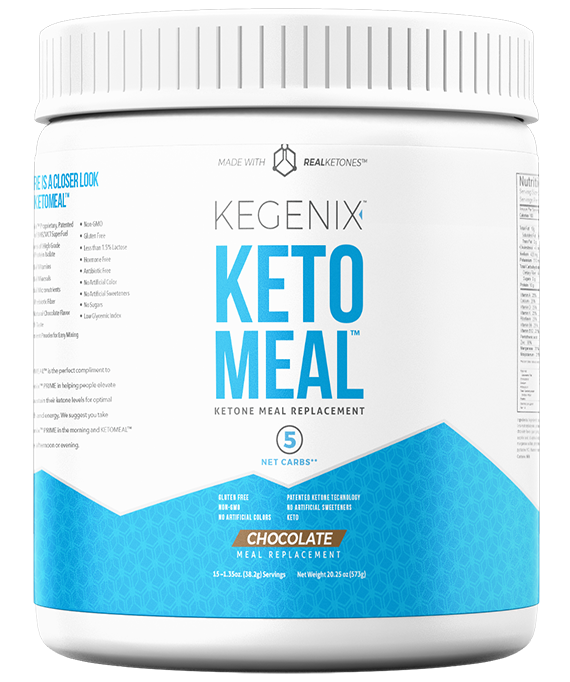 It contains all the necessary macronutrients, micronutrients, vitamins, electrolytes and minerals for a complete keto meal, in a convenient, easy to mix powder. It’s the perfect go-to meal when you are short on time, and need to eat now. We suggest you take PRIME in the morning, and Keto Meal in the afternoon. Did you know we have also created the perfect multi-vitamin to compliment your new keto lifestyle? This vitamin will provide you with the essential building blocks it requires to construct a superb nutritional state. It is rich in D3 and K2, and improves brain function and mood. It has been shown to effectively treat Epilepsy in children, reduce healing time after a head injury, improve symptoms in Parkinson’s Disease, reduce neuron death caused in hypoglycemia in children with type 1 diabetes, and slow the progression of Alzheimer’s in mice. Ketosis is the natural metabolic state where the body burns fat, rather than glucose (sugar), for its primary energy.